"Here are 3 pieces that we really enjoyed working on. This one was made for my son. 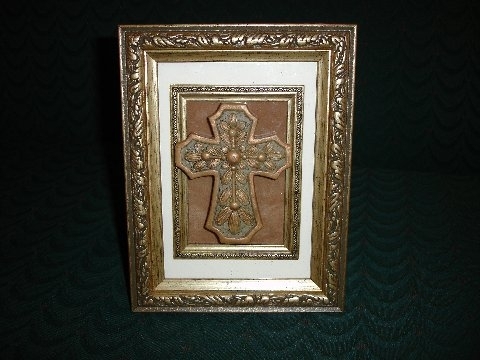 The cross is sitting on tan suede."